$30 and includes appetizers & dinner. 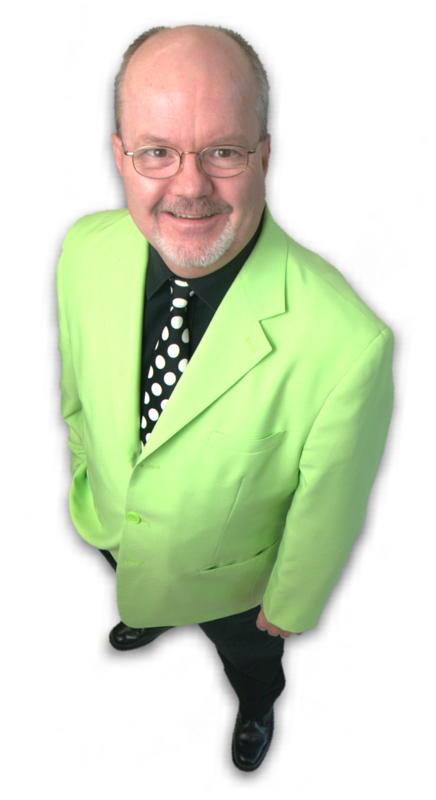 "London's ONLY Magic & Comedy Revue Show"
He'll Make Your Entertainment Worries.......Vanish! "Thank you. It's my joy!" 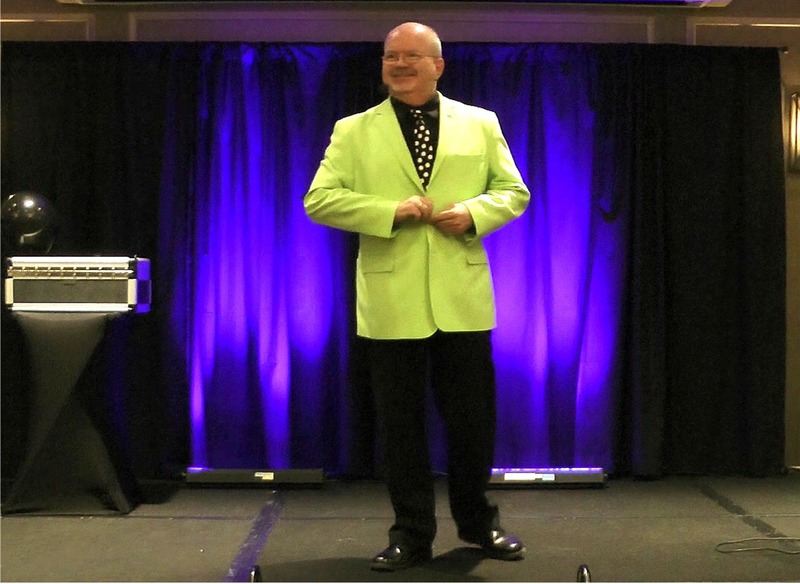 In the Special Event Entertainment world, experience is priceless and after four decades of performing at, on average, two hundred such gatherings annually, in front of every group imaginable, Comedian, Magician & Entertainer Peter Mennie has become an expert at giving Corporate, After Dinner, Gala and Awards Banquet audiences in Canada the funniest clean, comedy magic show they will likely see all year! "Everyone that I have spoken to congratulated me on obtaining you for our Anniversary. They thoroughly enjoyed your performance!" Of course they did! 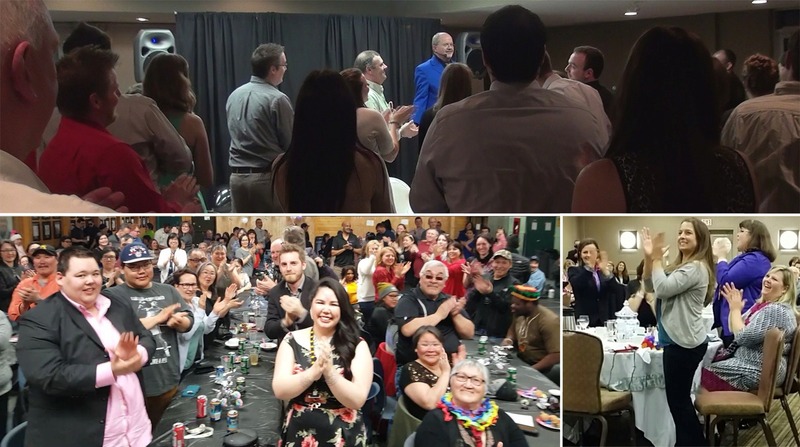 As a veteran entertainer, Peter can personally guarantee that you will look like a master organizer, your friends will have the memorable and fun time they deserve and they will come up to you after the show to congratulate you organizing on a fantastic event. "Even if you don’t want them to!" 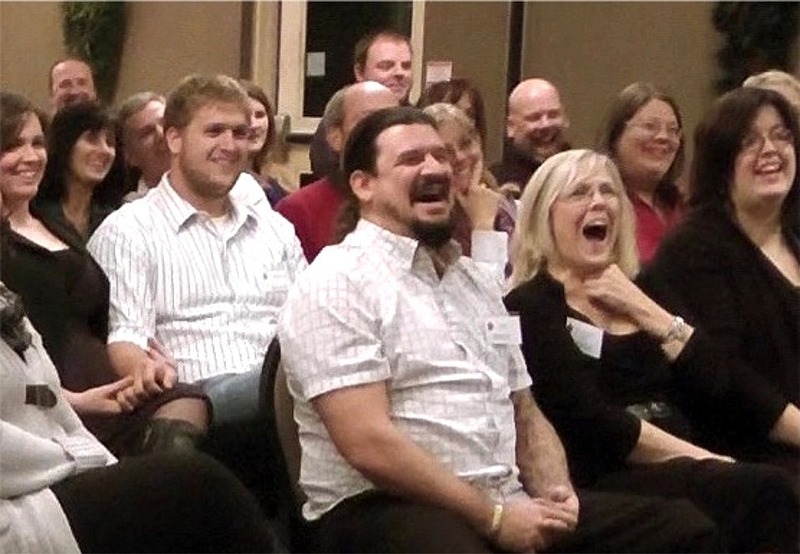 "You kept all of our guests laughing at your one-liners and gasping with amazement at your sleight-of-hand illusions!" Peter takes great pride in being Canada's Clean Comedy Magician and making his show a jaw dropping combination of how-did-he-do-that Magic & Mind Reading, squeaky clean comedy interaction and never-embarrassing Audience Involvement that maximizes both the amazement factor and the laughter quotient - live on stage! "You made us feel comfortable and confident that everything was running smoothly. You kept them entertained, captivated and amazed all at the same time and with such ease and professionalism. It was a pleasure working with you!" "It will be my pleasure to work with you on your event. Who knows, you may even find yourself leading the standing ovation!" I hope you've reached the decision that I am your best choice to help you create a successful event! It will be a privilege and my pleasure to entertain your friends, so let's get started. Please fill out this form so that I can connect with you before the end of business today (or sooner! ), with a quote and some more information on how my show can be customized just for your gathering. The more information you can supply, the easier it is to reply with a complete offer.